Well everyone, Anime North 2008 is fast approaching! 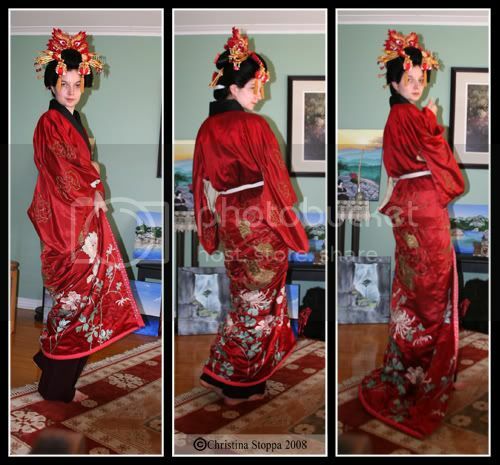 I've been working on an oiran cosplay I could wear there for a while and I thought I'd show you all how it's coming along. 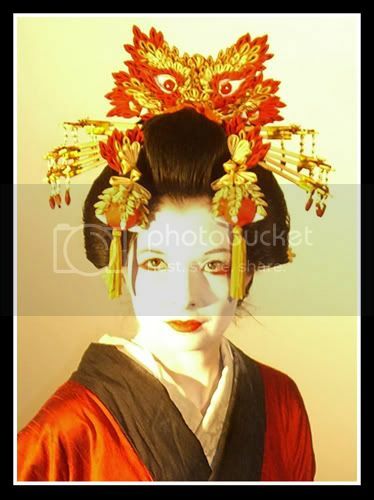 It's not really meant to be entirely authentic, but sort of playing with the oiran look. I really wanted to do something entirely with a dragon theme, so here it is! 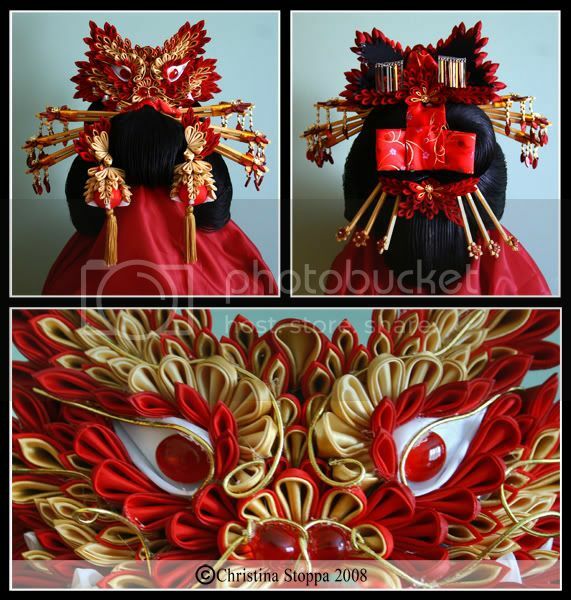 Next we have the kanzashi! I put the kanzashi together over the last week or so. 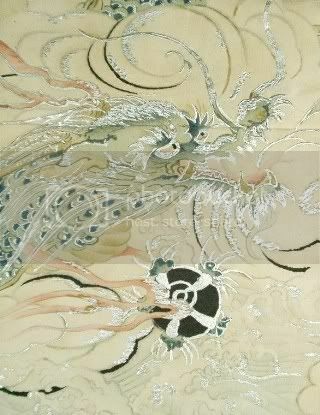 The bridge piece is designed to look like a dragon's face while the two side pieces with tassels were meant to look like dragon paws clutching fireballs. Originally I had planned to make the dragon face look ferocious but as I worked on it, it got cuter and cuter and now it's far from ferocious. LOL! Anyways, this set has a total of 19 pieces in it. 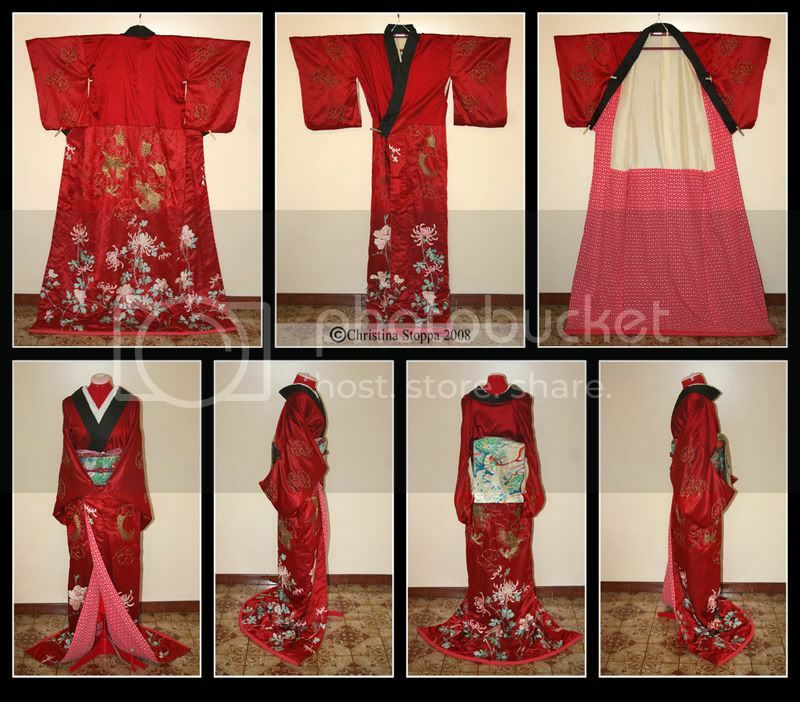 There are two decorative ribbons, six hair forks, six hair sticks, two side pieces (the paws), two bridge pieces (the dragon's face, and the one with silver flutters on the back), and one more piece decorating the bottom of the mage. Every tsumami petal (aside from the white ones) are double layered. So there was more than 1000 square inches of fabric used in this set; for a total of 777 individual petals ranging in size from 1 - 3 inches square. I just ordered it from Ichiroya recently, so I've got my finger's crossed that it will arrive on time. 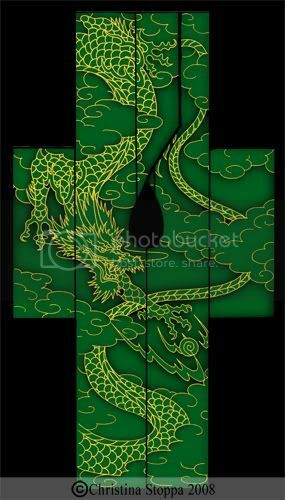 Otherwise I'll have to wear one of my other dragon obi. Anyways, I'll try to get some nice photos of the finished costume at the convention with my makeup and everything all done too! And now... as promised... PICTURES OF THE FULL COSTUME! 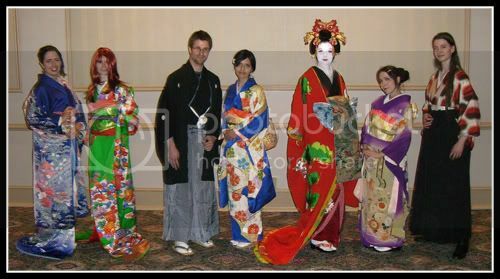 I got the whole get up on, makeup and all for the kimono fashion show that took place on Friday at Anime North. Unfortunately the maru obi I had ordered didn't arrive on time, so I had to make due with the short fukuro obi. 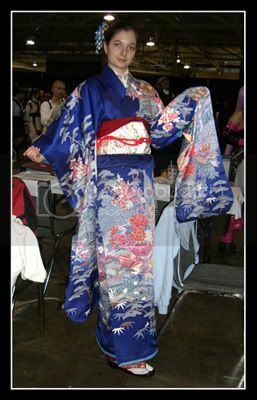 I think next year I'll have to reprise this costume with a nice full length maru obi. Maybe I can do a more elabourate musubi. I used two obi for that musubi. Underneath there is a chou musubi and then the dragon fukuro obi was tied simply over top and allowed the hang down with a makura providing extra volume. Unfortunately, but this time the chou musubi underneath had begun to sag a bit. I really like how this photo turned out, I think the yellow lighting give it a sort of vintage look. 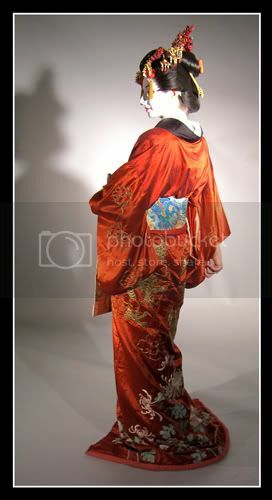 And here's one showing the details of the lovely stage uchikake that Iyolin let me wear for a while. It has polka-dot lining!!! And now for some other anime north photos! Iyolin and Sarcasmhime are in there! 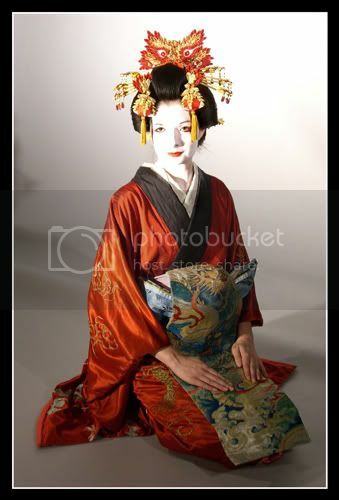 I was hoping to do a geiko cosplay on Sunday, but lack of sleep was making me feel quite ill, so I didn't get up early enough to get my outfit on.